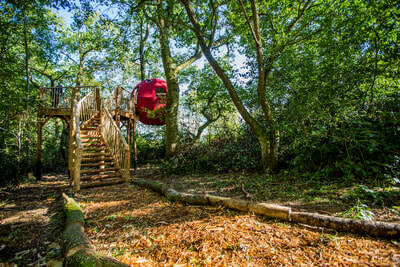 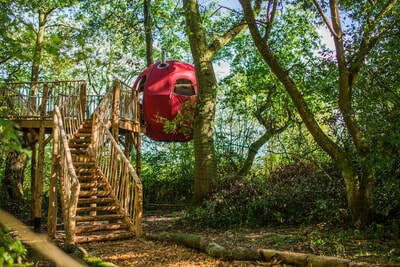 Goji the Tree Tent is suspended between two ash and an oak in the mature blue bell wood at the top of Brook House Woods. 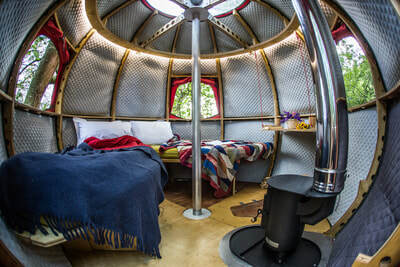 Goji has two single beds that fold up to make sofas during the day, a wood burner, desk and loads of storage under the beds. 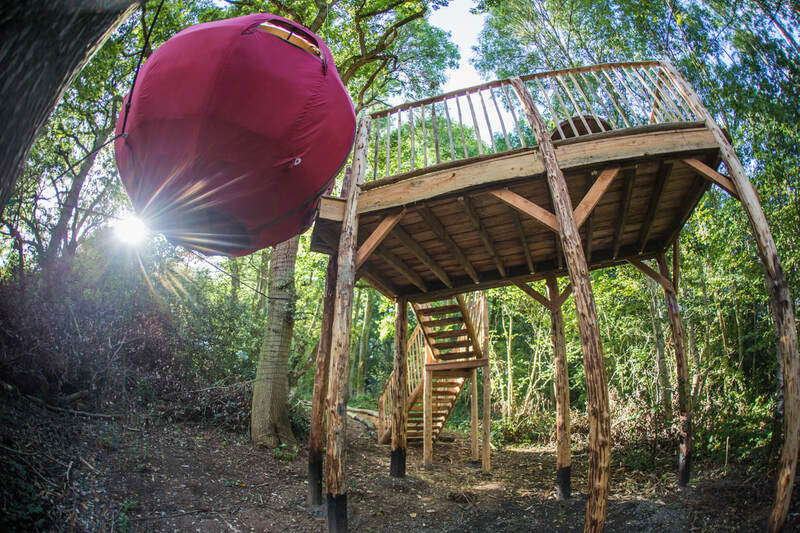 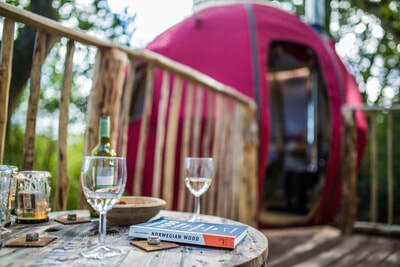 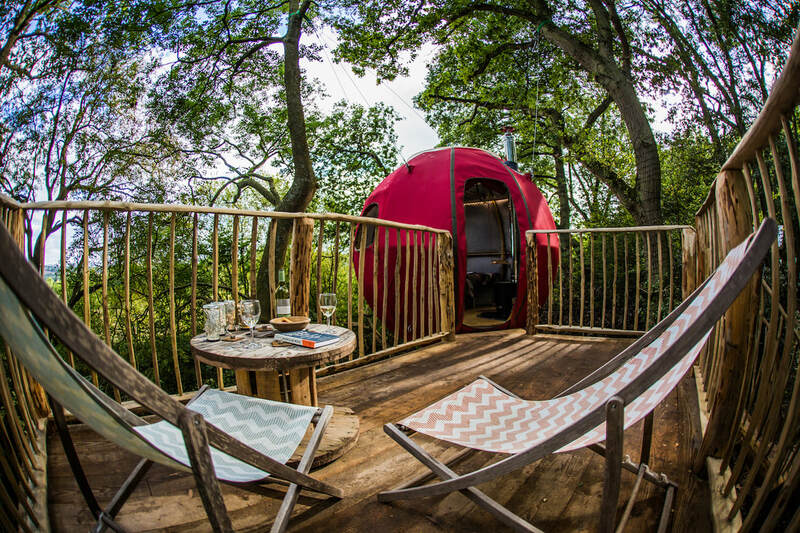 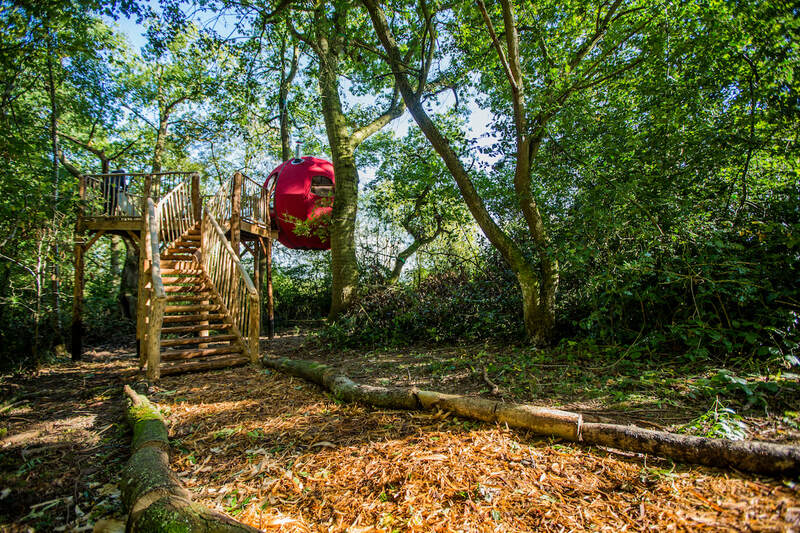 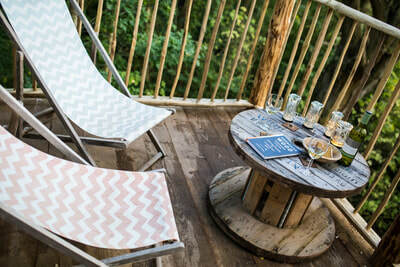 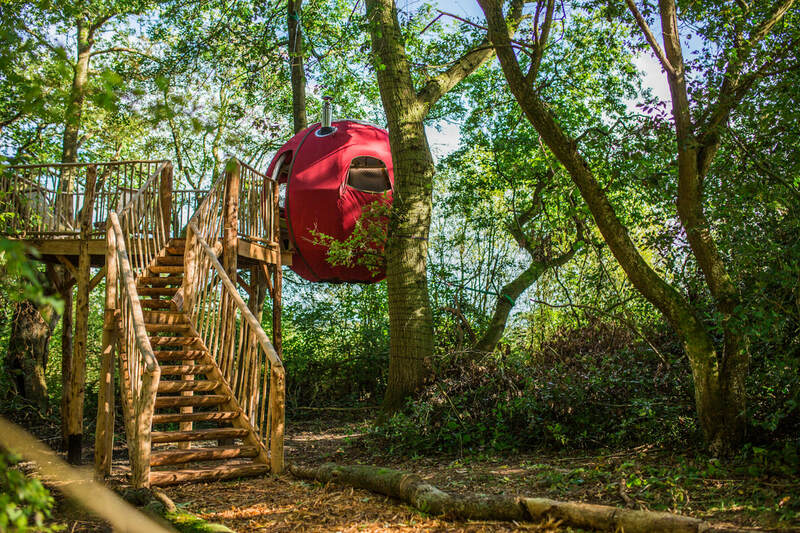 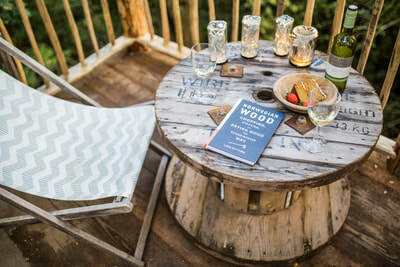 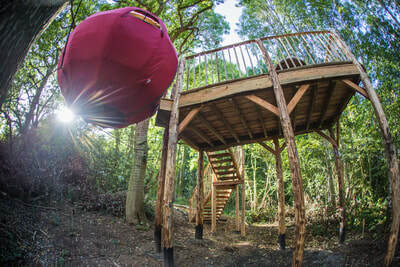 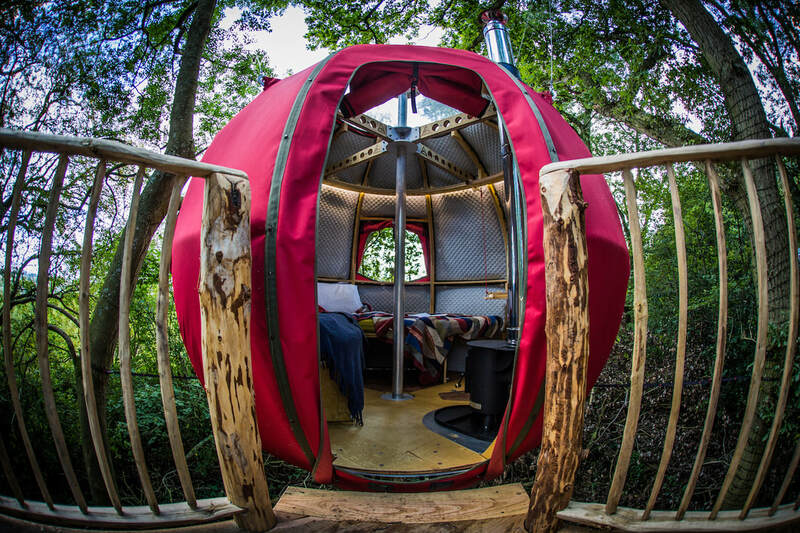 The roof is entirely glass so you can lie in bed stargazing or head out to the deckchairs to breakfast overlooking the Malvern Hills, or take a wander to the meadow to play games, sunbathe or just read a book as the world goes by in the valley below. 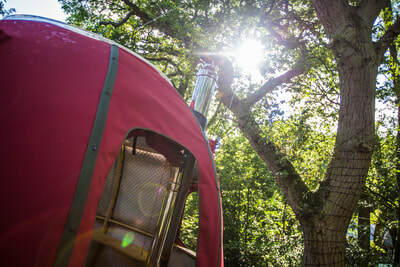 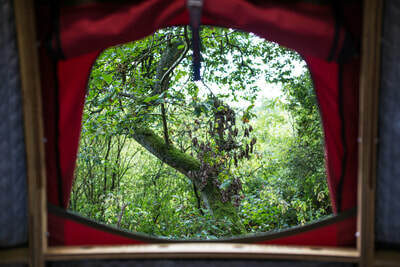 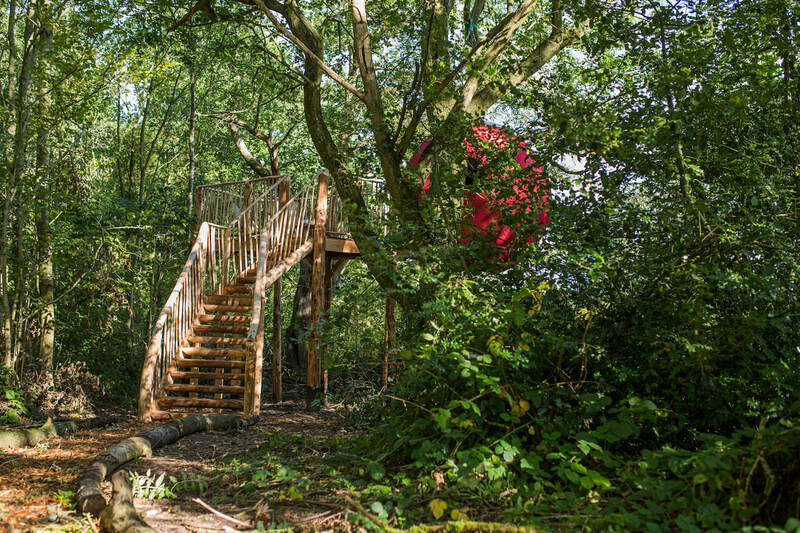 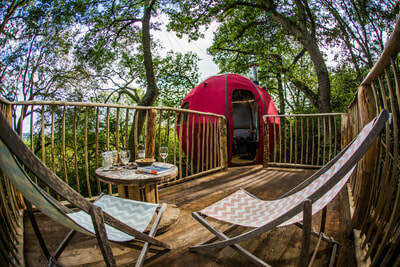 The Wilding camp is 50m away with a full kitchen, shower, compost loo, fire pit and pizza oven and leads on to the meadow for some full sun relaxation with views down the frome valley. The Wilding camp is shared with the Hobbit Hut a short walk from the camp.